Click on the image to download this chart. Wondering what kinds of salaries are possible in the urban ag industry? Download the median salaries chart. 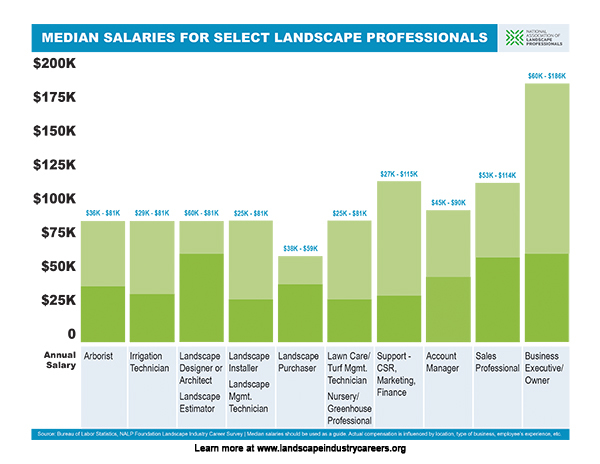 Read more at landscapeindustrycareers.org about trends in compensation and benefits.